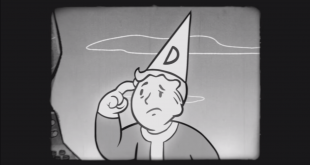 This week, I came across two pieces of evidence showing that the argument over the best game in the Fallout series has somehow become relevant again. The first: I almost got in a fight with a spotty cashier at a budget Icelandic supermarket on Thursday. I say almost. The guy had a rabid look in his eye that told me that my opinions on Elder Scrolls and the first two Fallout games weren’t worth it. Even though I was definitely right. The second, less important, piece: Van Buren, the game that Fallout 3 almost was, might not be dead after all. Van Buren was the internal codename for Fallout 3 at Interplay, the series’ original owners, before they fell apart and Bethesda bought up the Fallout rights. 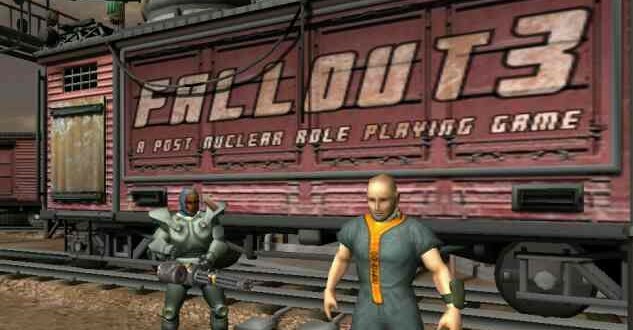 Like Fallout 1 and 2 and unlike the first-person Fallout 3 that did eventually emerge, Van Buren was an isometric take on telling cynical stories in an irradiated futurescape. 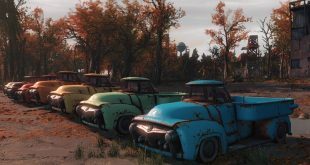 Its trademark was bought up last year by inXile Entertainment, a studio formed by Interplay founder Brian Fargo, sparking rumors that something might be done with the property. In a more recent conversation with Eurogamer, Fargo confirmed this and suggested that a new Van Buren game could be developed with Chris Avellone, another old Interplay name and current Obsidian employee. He did though reject anything happening with the title in the near future: “We have enough on our plate to be doing that right this second.” Of course, Obsidian are the makers of Fallout: New Vegas, making an already incestuous development situation even more Luke and Leia. Given that Wasteland 2 only came out last year and was in many ways a new (old) Fallout game, Van Buren is going to have to work to distinguish itself. But between them, Fargo and Avellone have worked on many of gaming’s best CRPGs, including the Fallouts, the Icewind Dale series, Planescape: Torment, Pillars of Eternity and Wasteland 2 itself. And the success of the latter two games shows that there’s definitely a market for games like this at the moment. Bethesda’s own version of the concept, Fallout 4, is at an advanced stage of development.